"We're launching [Fresh Tri] this week broadly to our associates nationwide and then we'll be in front of consumers as well as part of an event we're doing nationally next Saturday,” said David Hoke,Sr. Director, Associate Health and Well-being at Walmart. 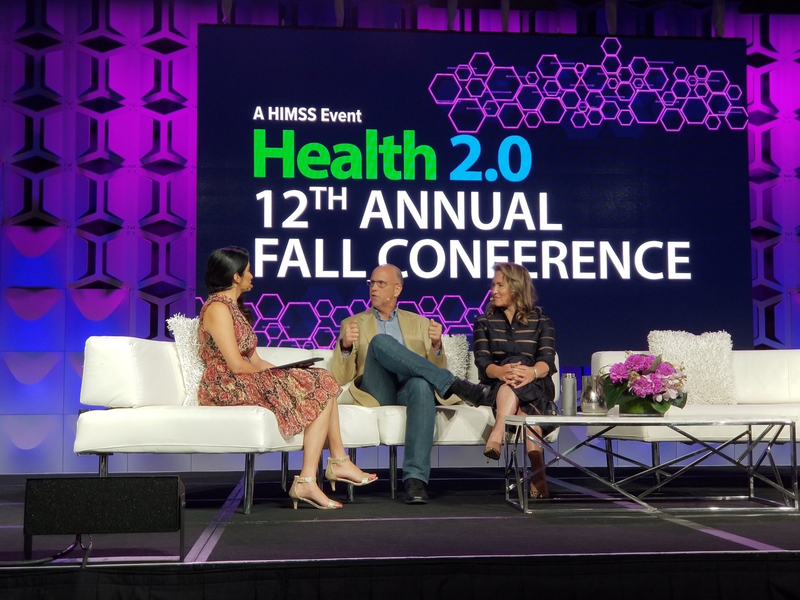 At the Health 2.0 conference in Silicon Valley, David Hoke, Sr. Director, Associate Health and Well-being at Walmart and Kyra Bobinet, MD MPH, CEO of neuroscience design firm engagedIN announced Fresh Tri, engagedIN’s new practice app for science-based healthy habits. Walmart is launching Fresh Tri to associates and customers to empower effective behavior change, starting with healthy eating. Fresh Tri curates habits proven effective through scientific studies and crowdsourced success from many Walmart associates who dramatically changed their lives. It focuses on cultivating the iterative mindset, focusing people on practice and experimentation to achieve long-lasting, healthy habits. Through this approach, Fresh Tri is specially designed to steer around brain areas that hurt motivation—to remove feelings of failure and self-blame from a person’s behavior change efforts. It guides users to practice what they feel most motivated to try from a catalog of behaviors that have demonstrated success for others like them. Other companies can use Fresh Tri for their employees and customers, and the underlying platform, Tri Habits™, can be licensed and customized for other behavior change applications. Fresh Tri is available to all on the App Store and Google Play. Fresh Tri is a practice and iteration game that invites users to test drive healthy habits, removing the guesswork and feelings of failure so you can iterate your way to success. There is no “fail’ - only practice and iteration. While most methods fail to deliver on their promise, Fresh Tri won’t leave you feeling like you did something wrong. Fresh Tri is a simple, positive approach based on the brain science of habit formation. engagedIN is a Santa-Cruz-based neuroscience-based design firm focused on behavior change through a combination of science, design and technology. Founded in 2013, the firm has become the secret sauce of innovators within the Fortune 500. engagedIN solves the brain-behavior gap™ by combining the latest research with a compassionate design approach to increase engagement and behavior change at scale.